The Quick Check 820 Series Bar Code Verifier offers the convenience of simple aim-and-shoot verification through the use of a QC3800V, a customized, IT3800 hand held linear imager. It requires virtually no user training and analyzes all of the traditional verification parameters. It also provides the ISO/ANSI method decodability calculation. 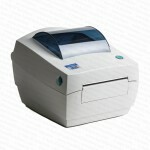 Note: The Quick Check 820 with an optional mouse or wand replaces the obsolete Quick Check 600 series. 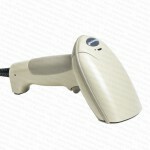 Order the Quick Check 820 with the optional mouse/wand to perform full ISO/ANSI inspection. 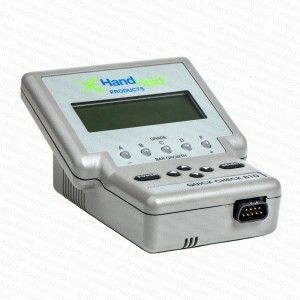 See the Quick Check 600 page for more details on inspection features. If needed, a detailed hard copy printout can be produced from the Quick Check 820 using an optional direct thermal or thermal transfer printer. The Quick Check 820 series meets the International Organization for Standardization’s “Bar Code Print Quality Test Specification (ISO 15416), the American National Standard Institute’s “Guideline for Bar Code Quality’ (ANSI X3.182-1990), the Uniform Code Council (UCC), and the CEN specifications regarding the decodability calculation method. It does NOT meet the International Organization for Standardization’s “Bar Code Verifier Conformance Specification” (ISO 15426-1), since only one parameter is tested.